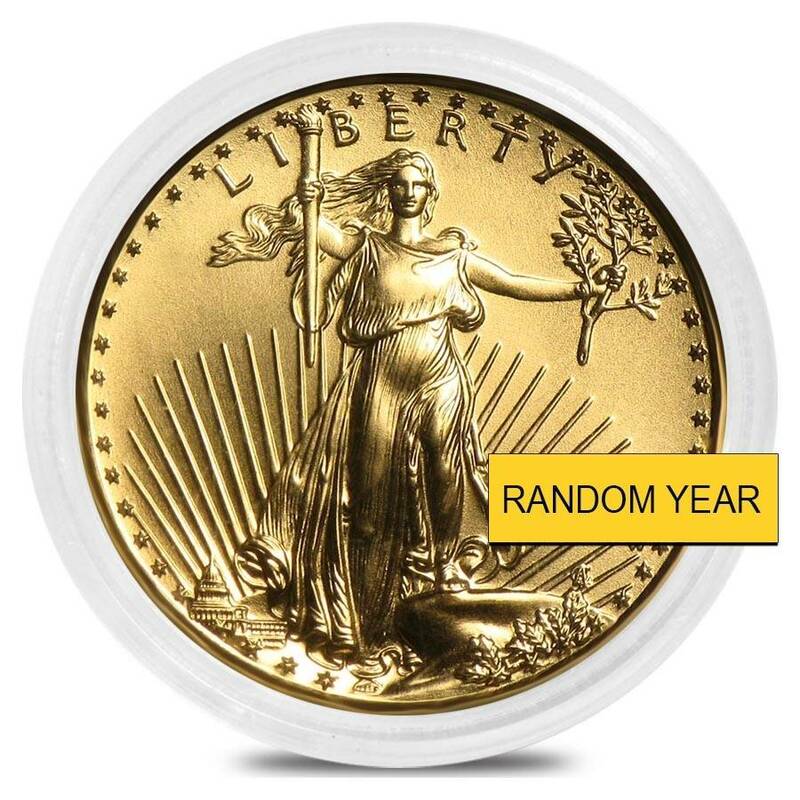 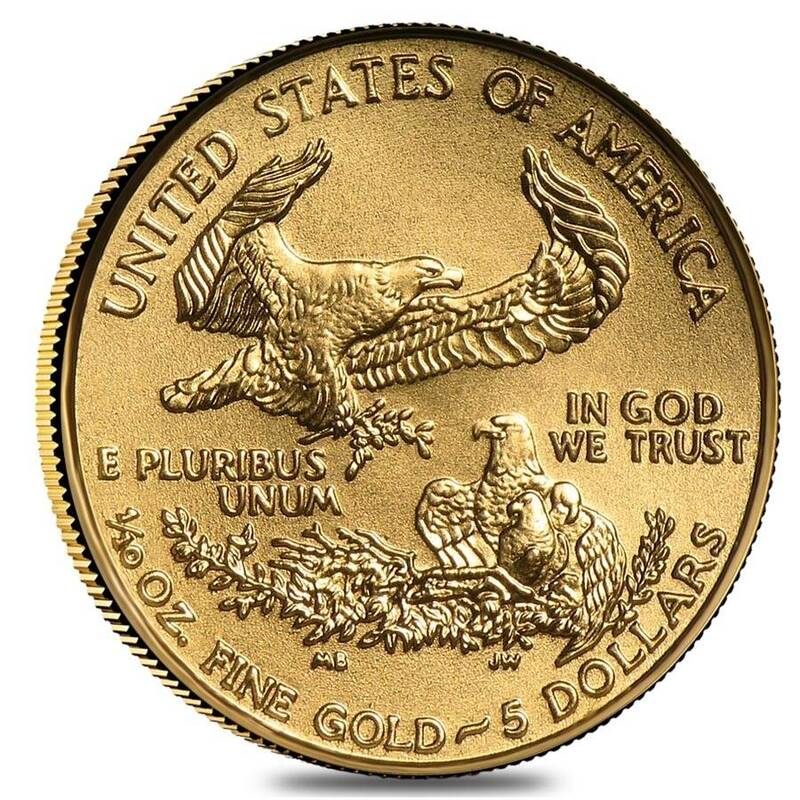 This 1/10 oz Burnished Gold American Eagle is an excellent choice for any precious metals portfolio. 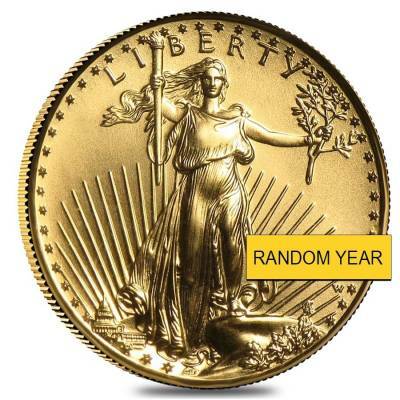 Each coin is made from 91.67% fine gold with a weight of 1/10 troy oz. 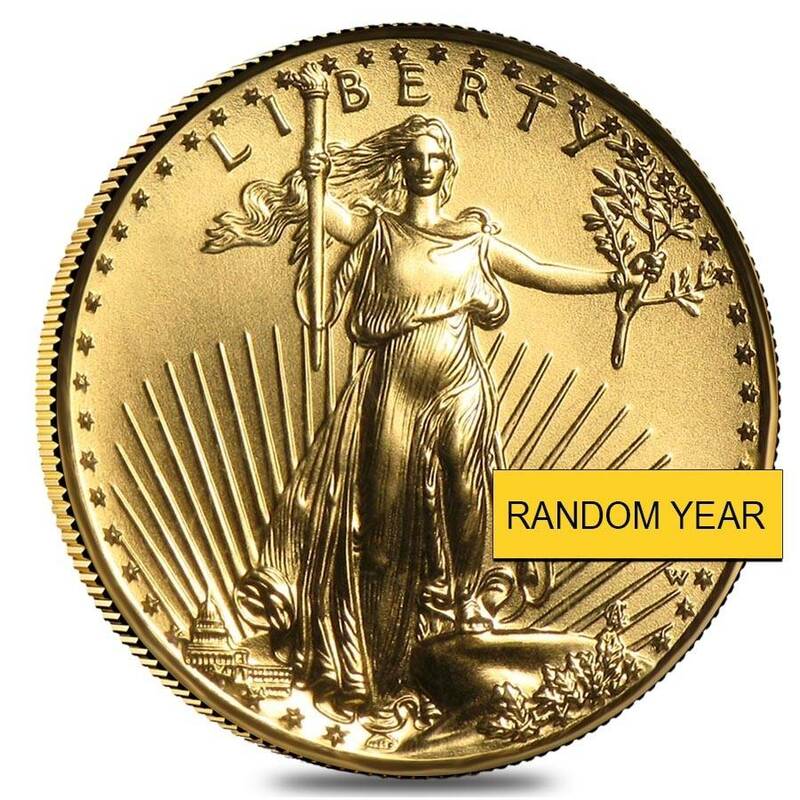 The obverse features Lady Liberty holding a flaming torch and olive branch along with the year of mintage. The reverse displays the family of eagles design along with the denomination and weight.